Hi Wilderness lovers! 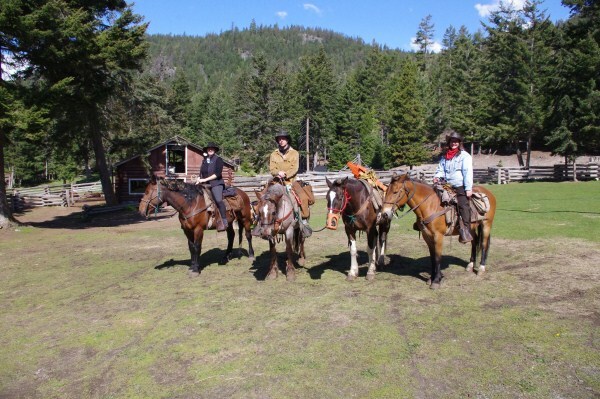 In the beautiful British Columbia, Chilcotin Holidays Guest Ranch is the place to be if you are looking for a ranch job, surrounded by Nature! Katrin is sharing her experience with you! "My name is Katrin Wischnewski, I am 22 years old and I am from Germany. I am studying Leisure and Tourism Management and I am at Chilcotin Holidays to do my college internships to improve my practical skills. For 3 months I have been working in the office at the ranch and I had the chance to work in different departments to improve my theoretical skills from the university. I love to work here and after a few weeks I did my work independently and I have a high responsibility. It is a good feeling if you get the confirmation that you already learned a lot in the study time. The balance between the work in the office and the time outside in nature is very good. After a day in the office I often go for a hike or a ride on our Canadian Mountain Cayuse Horses with some of my nice colleagues from all over the world. Now I have 1 1/2 months left at this wonderful place, time is flying. I am so excited I get the chance to take the next 2 Week Guide School. The Guide School is a great chance for me to improve my horse skills before I go back to Germany and finish my studies. This college internships has helped me so much and I am so glad I came!" Opportunities to live the adventure of a lifetime are at Chilcotin Holidays. Kevan Bracewell invites you to send us an email with your resume, and to visit our website. Find your dream job in our Chilcotin Mountains!